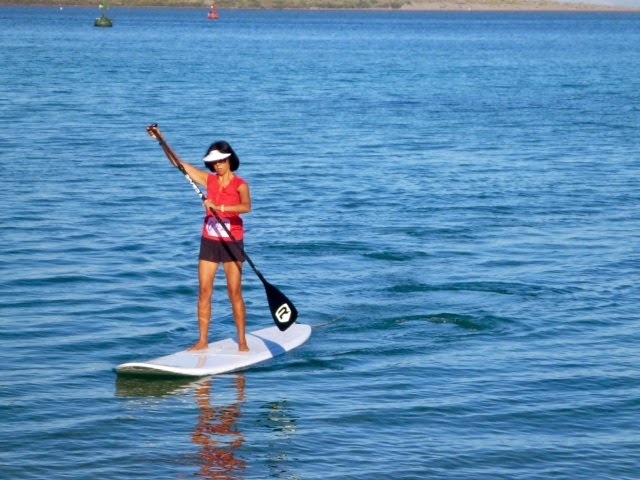 shindigsailing: Paddling for Wendy - Hello Sunshine! You Crazy Kids!!! Looks like you had a FANTASTIC day on the water, and many laughs were had by all. I remember that day last year, and I laughed my hindquarters off, in between gasping for air! Fun times! Thank you so much for paddling in my honor! I truly felt the love! Today, some of my Hokuloa kids did the same in a race in Oceanside, and it was just as wonderful, and just as special! Thank you! Thank you! Thank you! I'm hoping to get down there soon for a visit. Keep your fingers crossed! Please tell everyone Hola and Feliz Navidad for me! Wendy!! Your parallel paddling teams are sure cheering for you. So glad to see your comments, and know that you were there with us every burning stroke.We just made it to the Mainland, with Mike SV Pangaea aboard Shindig. Sure hoping we can have our reunion on the southern or northern side of the Border soon. Love and Hugs from Team Pa-Shin. Love this post! What a wonderful idea and you all look terrific in the pictures. As we drove into La Paz we stopped at Harker Board and Vanessa mentioned you guys had participated in their event. Hope to catch up with you soon-ish on the other side.